Susan Gregg-Schroeder: As a consumer and a member of the clergy, the Rev. Susan Gregg-Schroeder brings the wisdom of her ongoing journey and struggles with depression to offer universal truths about spirituality during difficult times. In sharing six gifts of the shadow, she encourages others to discover opportunities for growth, change and transformation. She will also provide a brief history of how mental illness has been understood since Biblical times and suggest ways to integrate spirituality into the treatment and recovery process. The Rev. Susan Gregg-Schroeder founded Mental Health Ministries in 2001 to provide media and print educational resources to help erase the stigma of mental illness in our faith communities. Her DVD set, Mental Illness and Families of Faith: How Congregations Can Respond, offers eight shows on a variety of mental health issues. Susan shares her personal journey with clinical depression in her book, In the Shadow of God’s Wings; Grace in the Midst of Depression. She works with several national groups including serving on the Advisory Committee for the National Alliance on Mental Illness (NAMI) FaithNet and Board of Directors for Pathways to Promise. Ann Ito represents UCCDM concerns on The UCC Executive Committee. Ann is blind and is becoming increasingly hard of hearing. She has been a care giver to family members with cancer, depression, dementia and post-stroke disabilities. She is a member of the Nu’uanu Congregational Church in Honolulu. Blessed by the cultural richness and natural splendor of her home state of Hawaii, Ann is privileged for more than four decades to have served college students with disabilities toward equity of opportunity. She has advocated for equal access for persons with a wide range of disabilities in public transportation, communication, rehabilitation, library services, employment, higher education, etc. Her approach has been one of conversion by education rather than coercion, believing that ignorance rather than malcontent is behind acts of exclusion and discrimination. Jerry Hancock, an ordained minister in the United Church of Christ, entered the ministry after working for more than 30 years in the criminal justice system. In February, 2006, Rev. Hancockbecame the Director of the Prison Ministry Project. The Project is an outreach ministry of the United Church of Christ. Its challenge is to serve prisoners and their families, engage the wider church in prison issues and to be an advocate for prison reform. Rev. Hancock is a graduate of Colorado College, The University of Wisconsin Law School and Chicago Theological Seminary. Kelli Parrish Lucas has discerned that the issue of accessibility and our churches is part of her call to ministry. Kelli lives with all of the both/ands of having being born with disability, and acquiring disabilities, as well as a passion for exploring all the topics of disability ministries with others. Kelli completed research into the ecumenical responses to disability in addition to studying disability ministry/theology in seminary. Kelli has served as a chaplain in mental health facilities and is currently serving as a hospice chaplain in San Diego County, CA. Craig Rennebohm is a UCC pastor who has worked for the last 23 years on the streets with individuals who are homeless and struggling with serious mental illness, substance abuse issues and PTSD. He is the author of Souls in the Hands of a Tender God, and will be leading a workshop on Organizing a Congregational Mental Health Team. Craig has recently taken on the role of Executive Director of Pathways to Promise, a national multi-faith resource for mental health ministry. Additional workshop leaders are Susan Gregg-Schroeder, Kathy Reeves, Peggy Dunn Davis, and Alan Johnson. Jeanne Tyler serves as a current co-chair of the UCC Disabilities Ministries Board. She is a co-pastor with her husband John to the folks of Saint Paul United Church of Christ. John and Jeanne have two adult sons who live in St. Paul, MN. Jeanne is a person with life-long disabilities and an acquired one within the last few years. She has chosen to understand the life-long ones as gifts and burdens. Jeanne’s interests are in theology, pastoral care and opera. Peggy Dunn Davis serves as a current co-chair of the UCC Disabilities Ministries Board. She is ordained in the UCC, is pastor of the Union Congregational Church UCC of South Bristol Maine and the Director of the Maine Conference Academy for Congregational Life and Leadership. 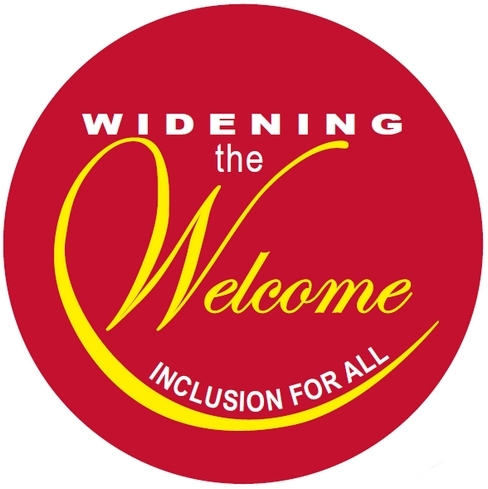 She has a passion about inclusion, resourcing and encouraging congregations to become Accessible to All (A2A). She has been affected by mental illness, substance abuse and acquired brain injury in her extended family. (Boulder, CO). He worked in the national setting of the UCC from 1979-1995. He has been affected by mental illness, substance abuse, and suicide in his family and has recovered from a stroke.